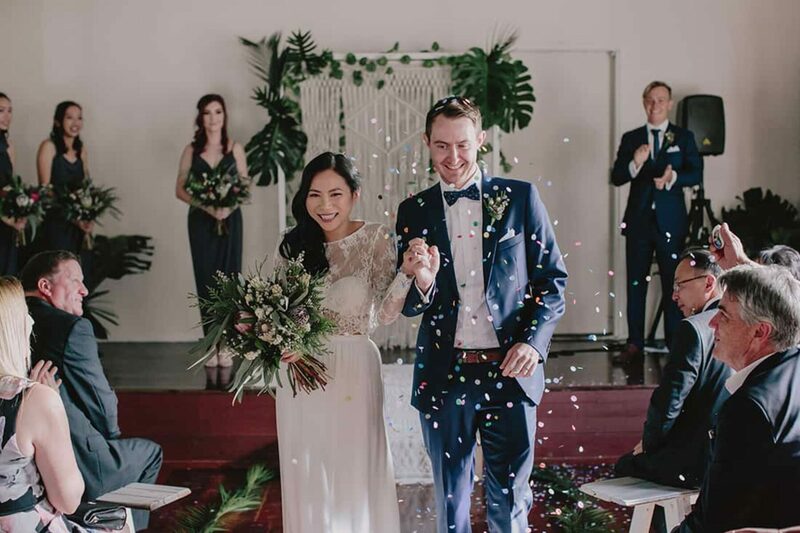 These Brisbane natives certainly know how to impress a crowd. 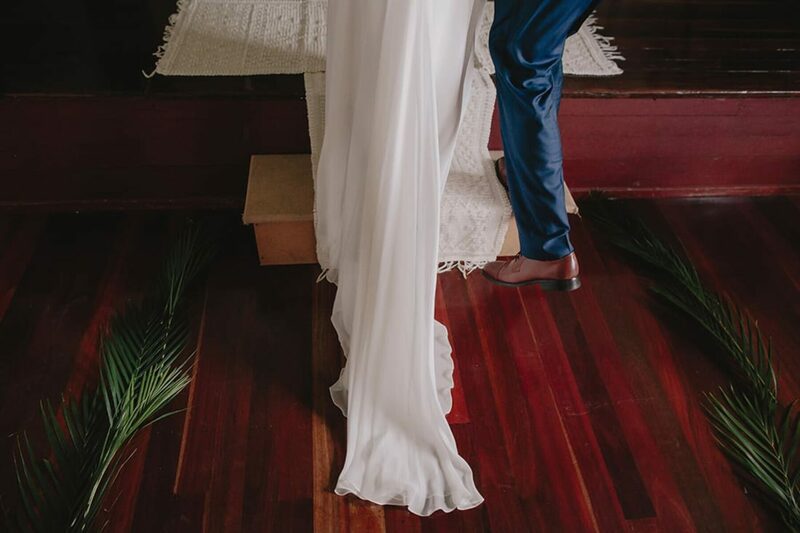 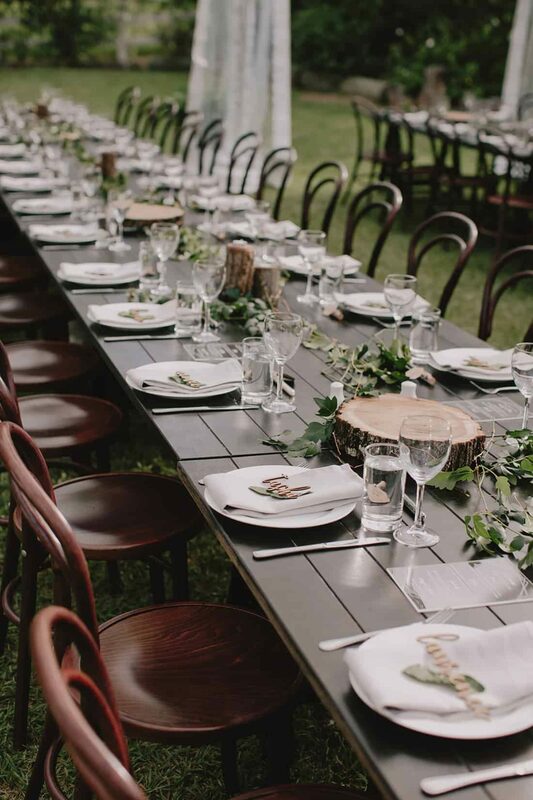 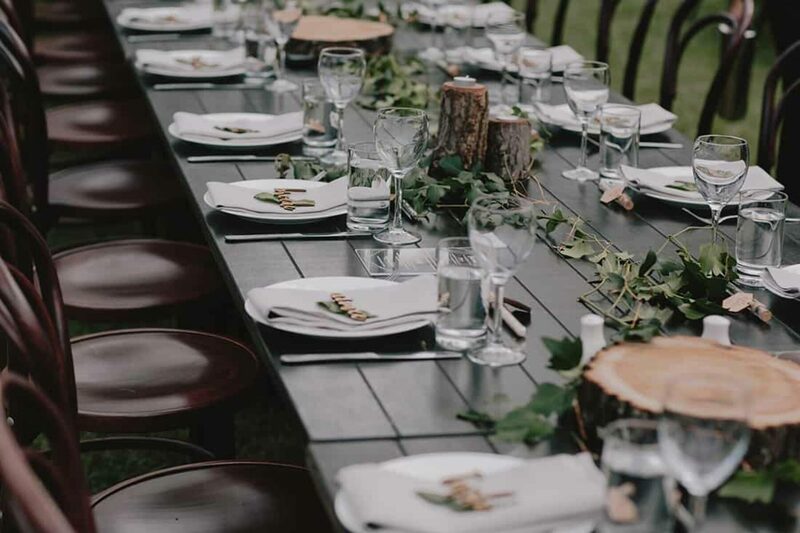 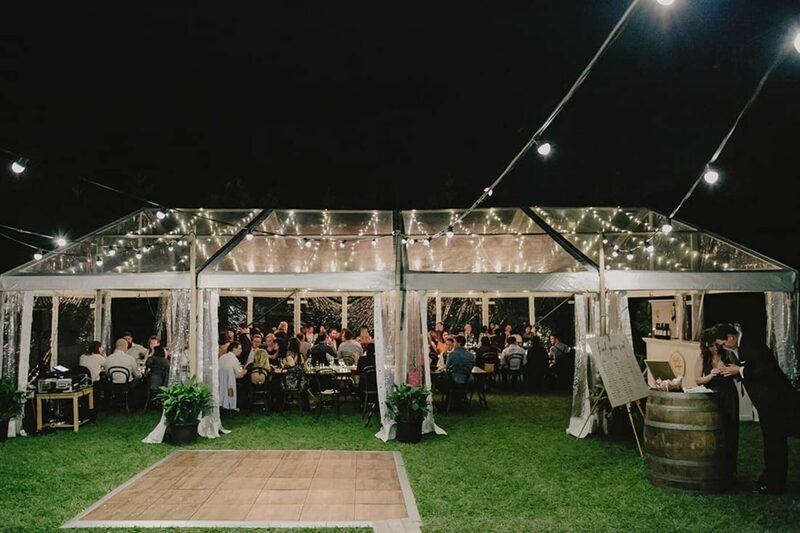 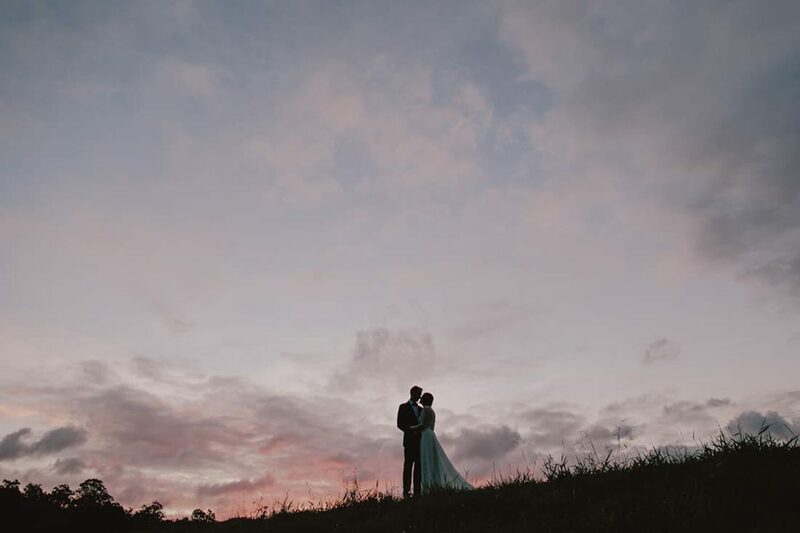 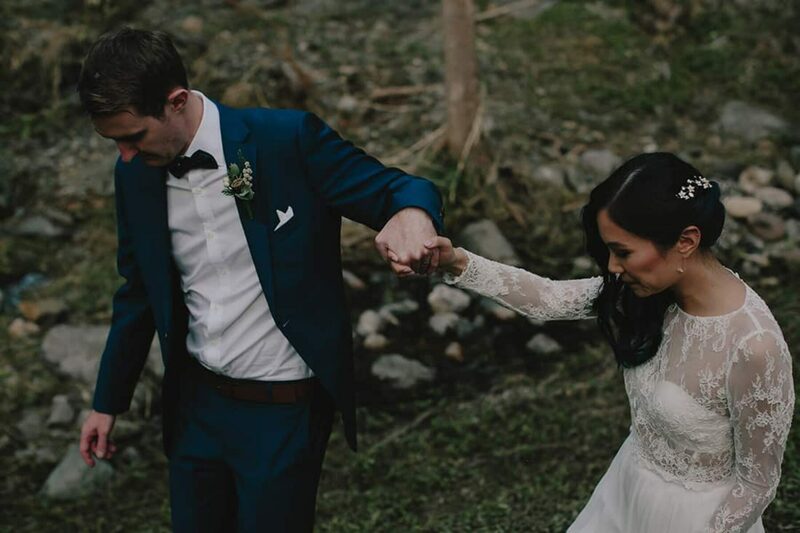 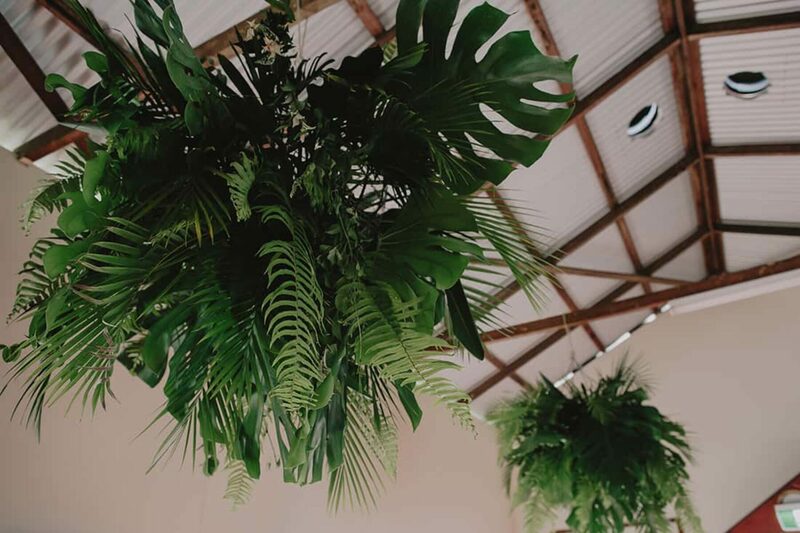 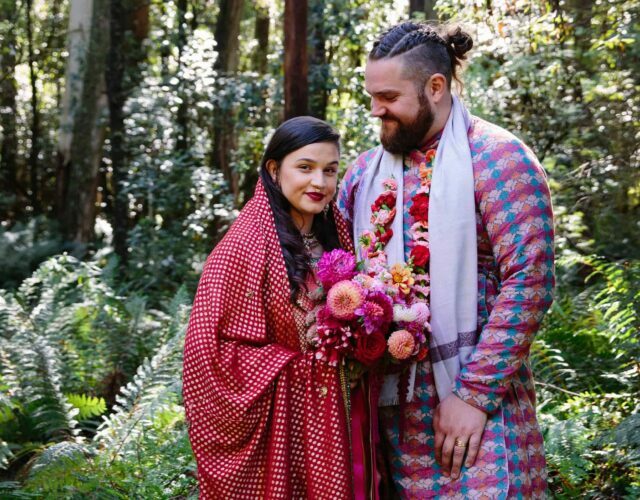 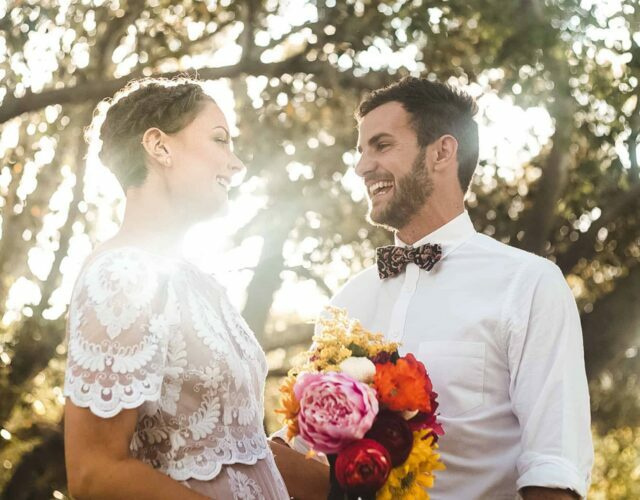 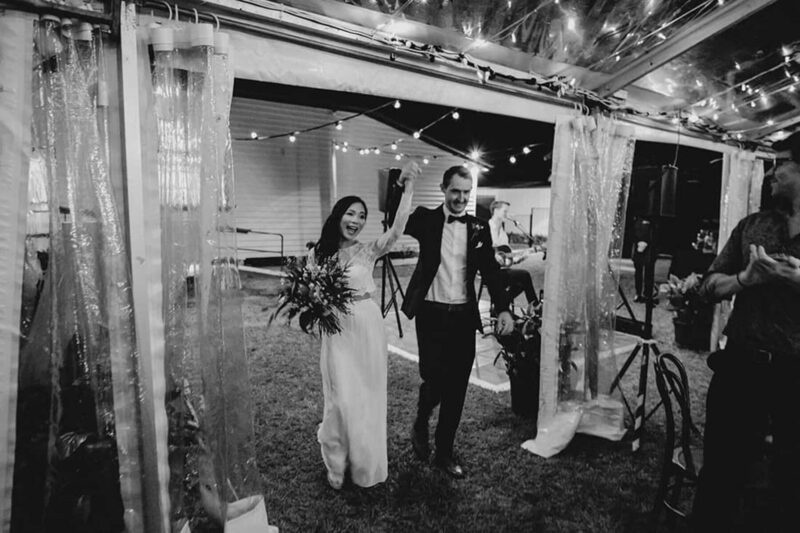 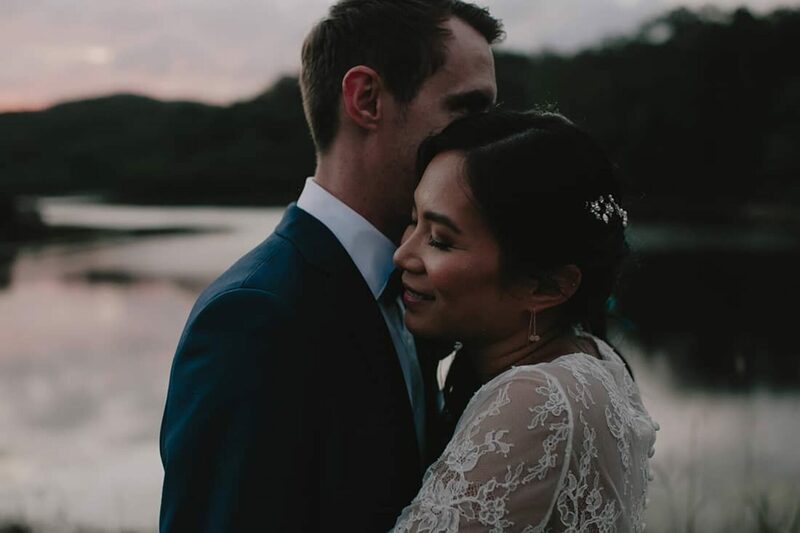 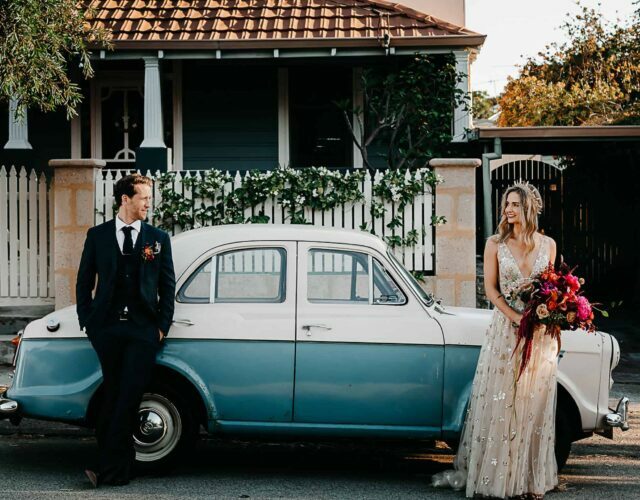 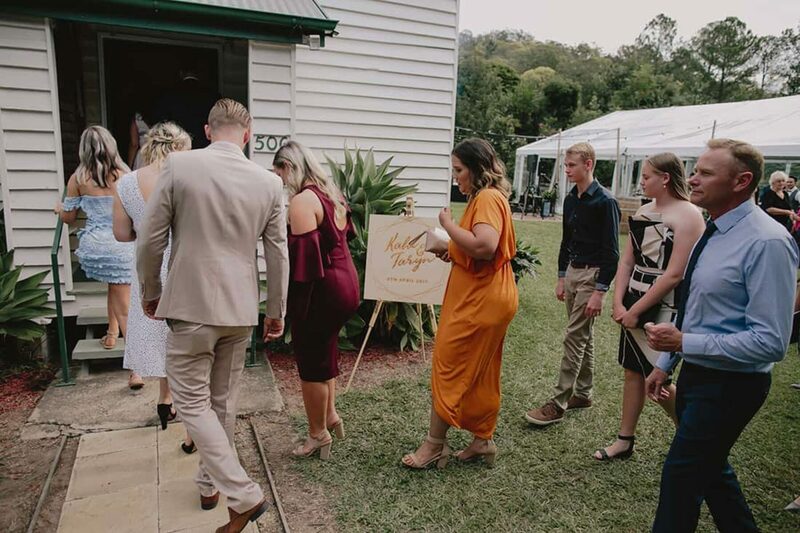 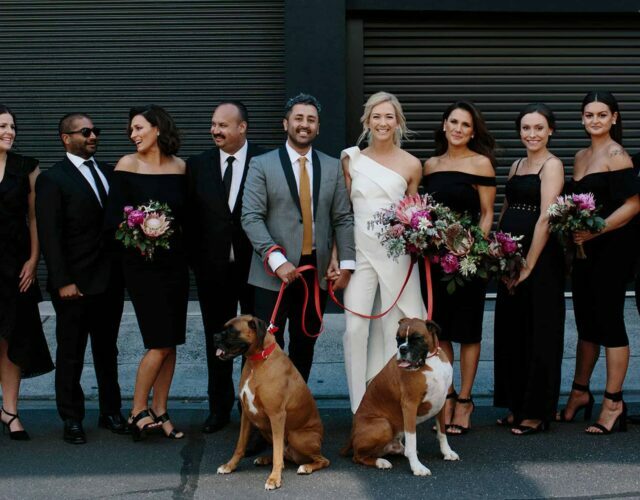 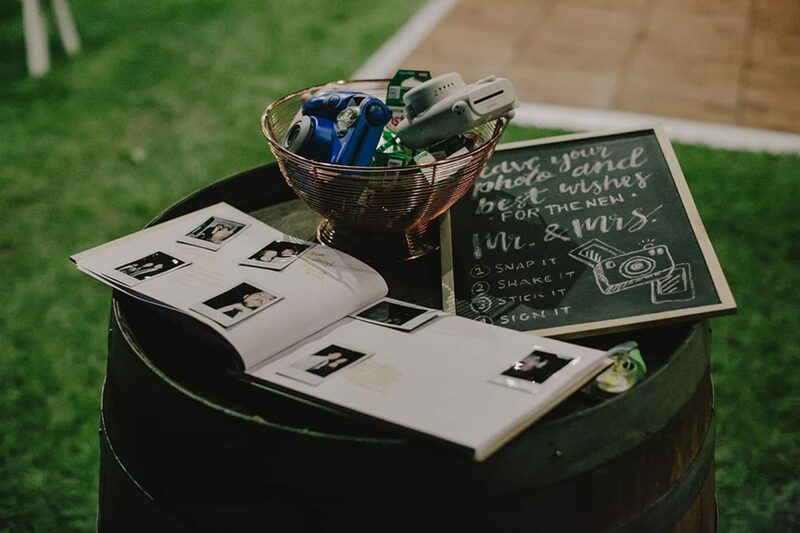 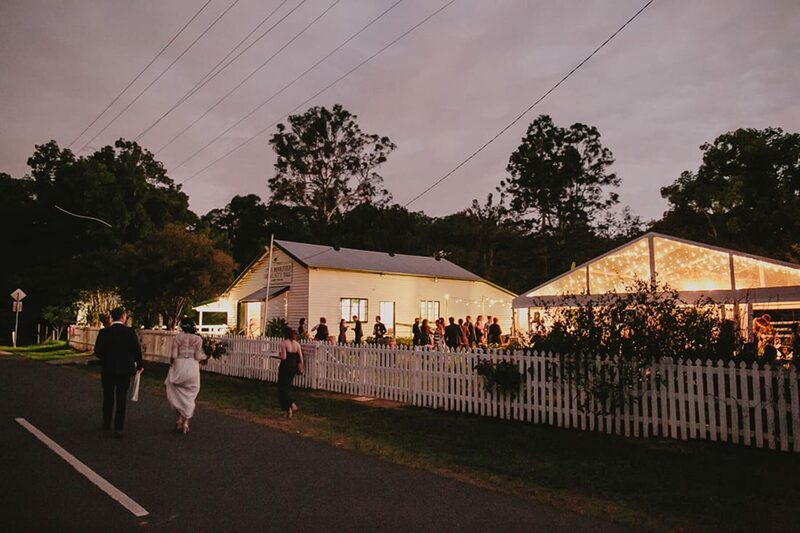 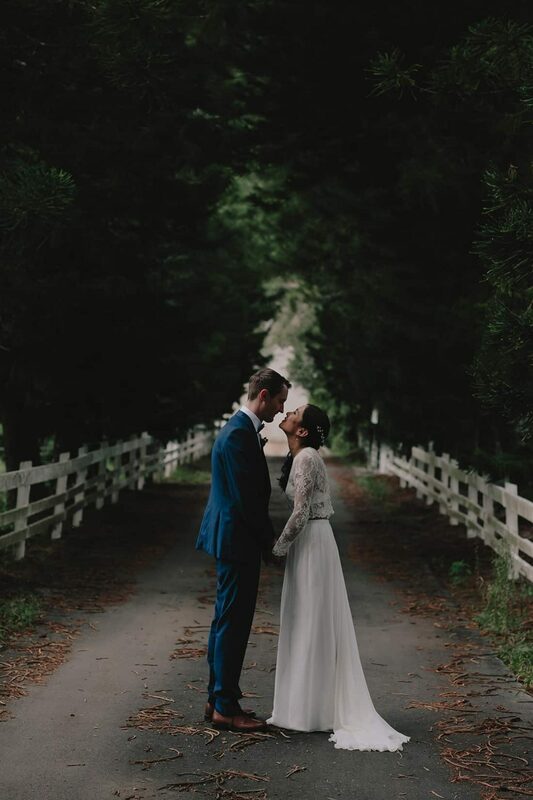 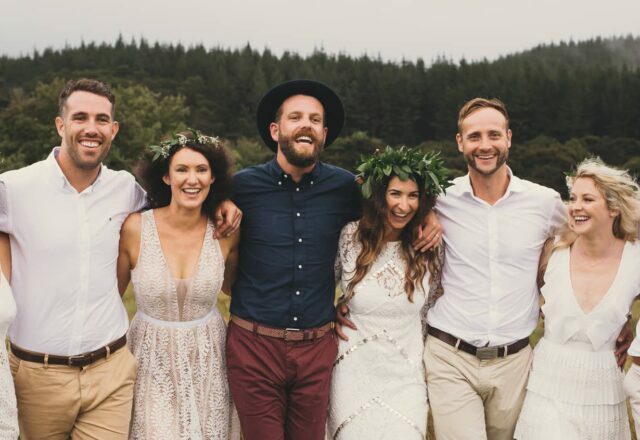 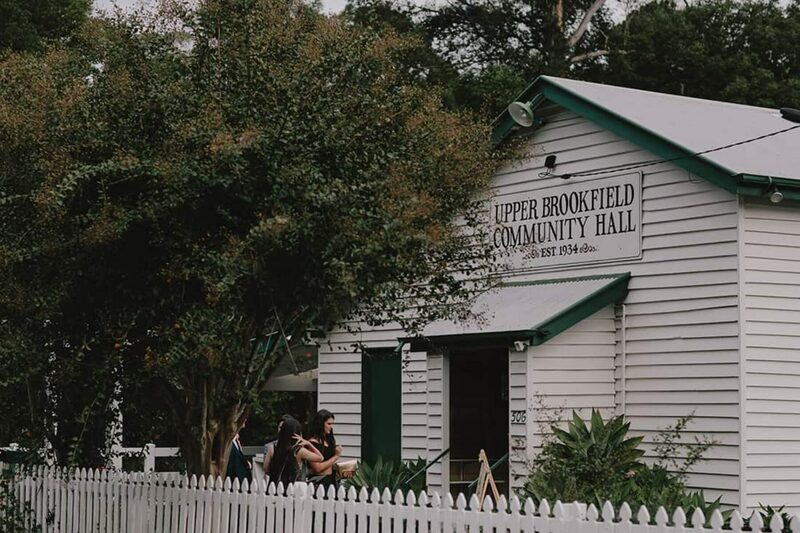 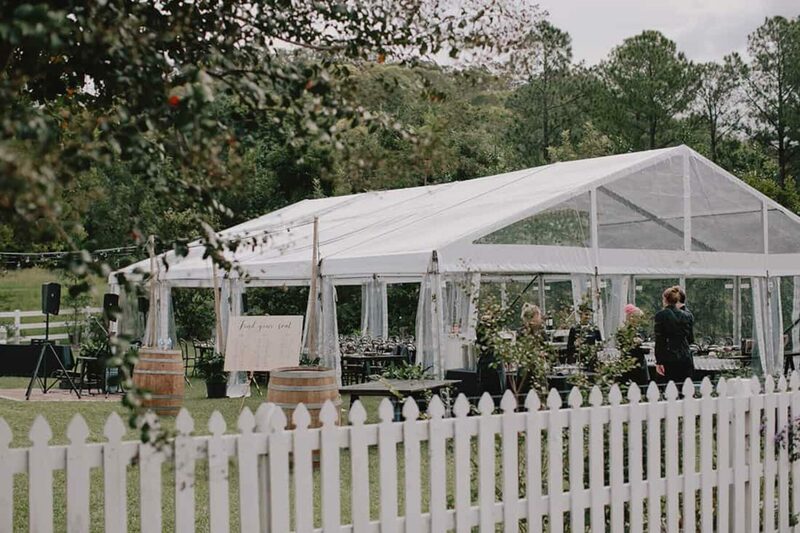 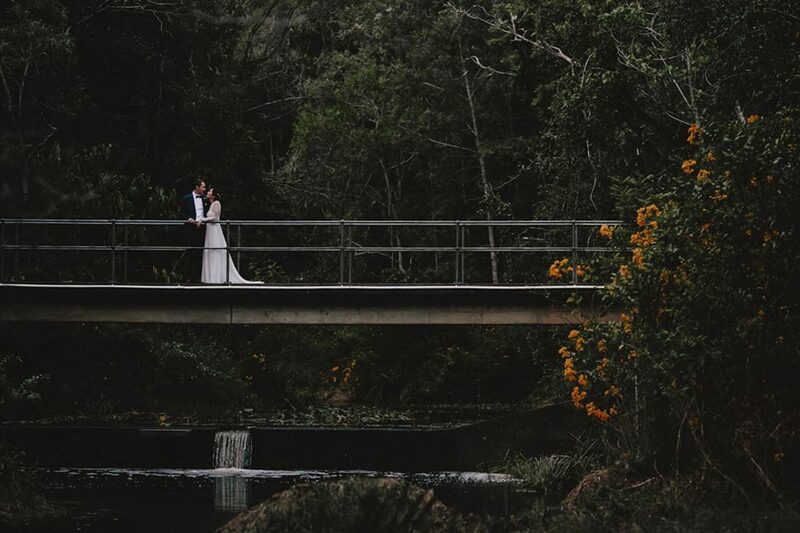 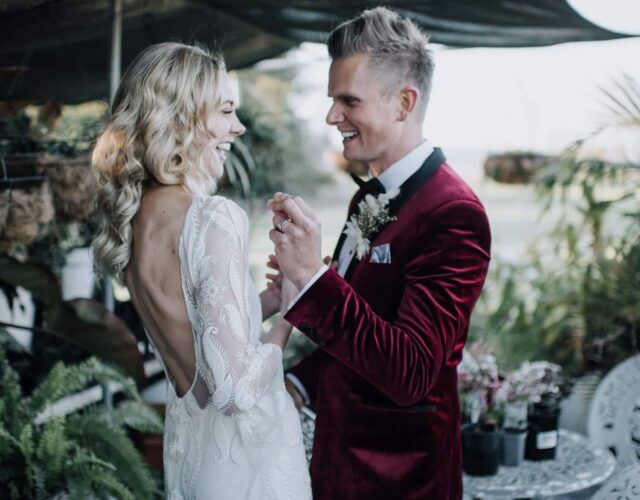 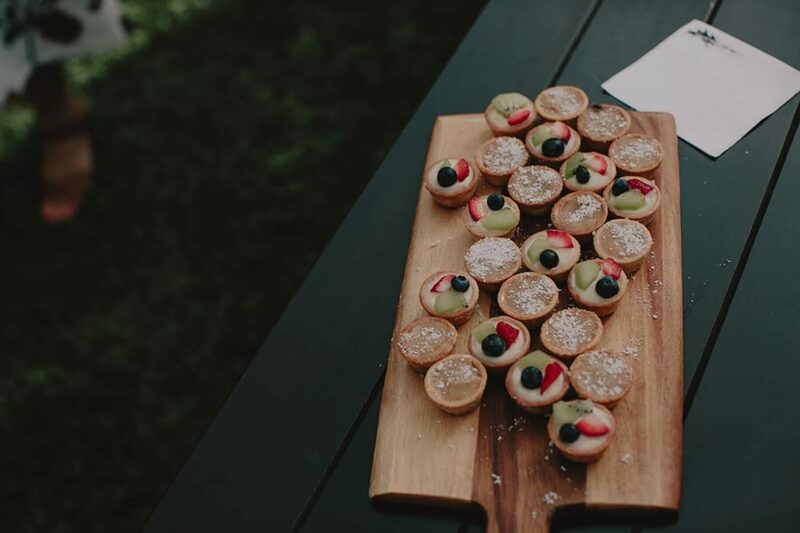 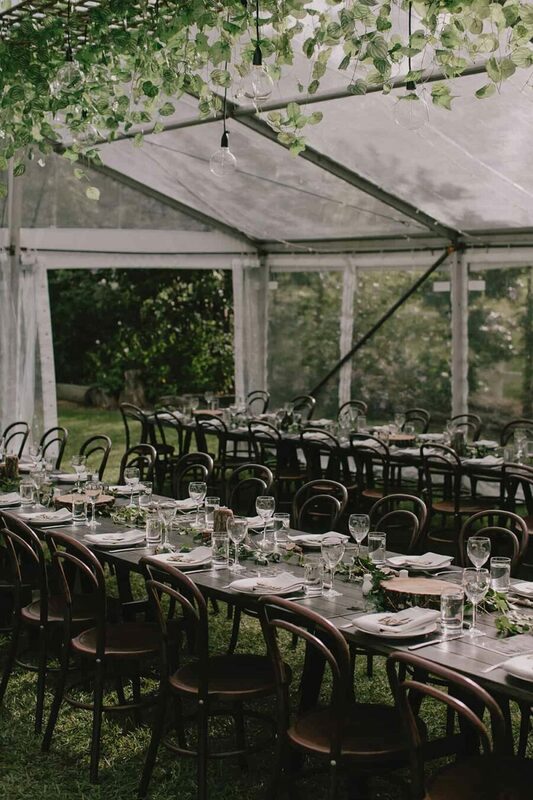 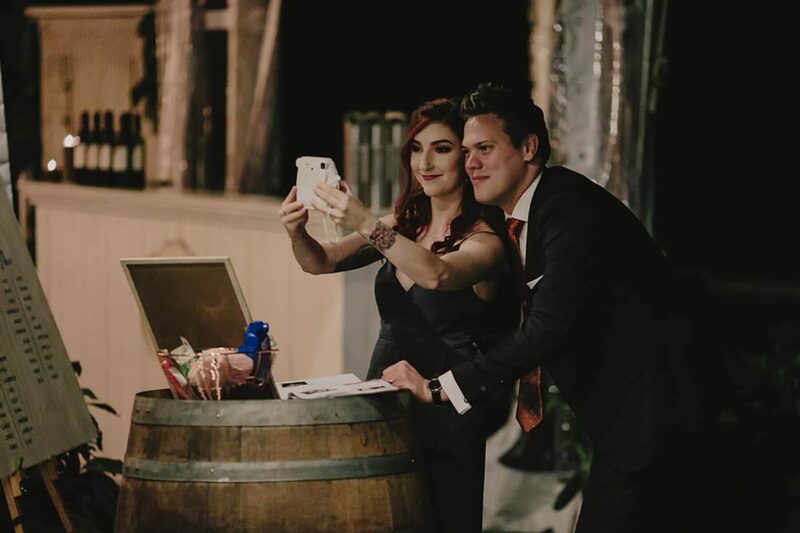 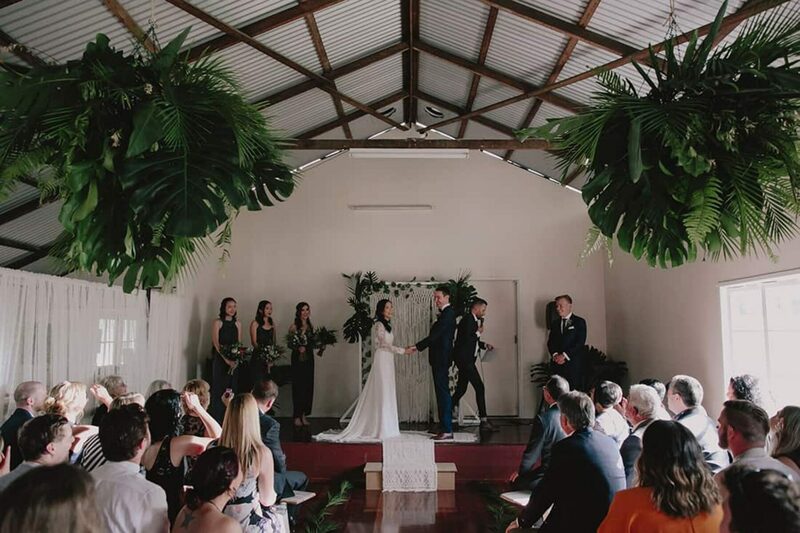 Abundant with top-notch nosh, quality booze, lush greenery and feel-good vibes, Taryn and Kahl held their marquee wedding at the Upper Brookfield Community Hall. 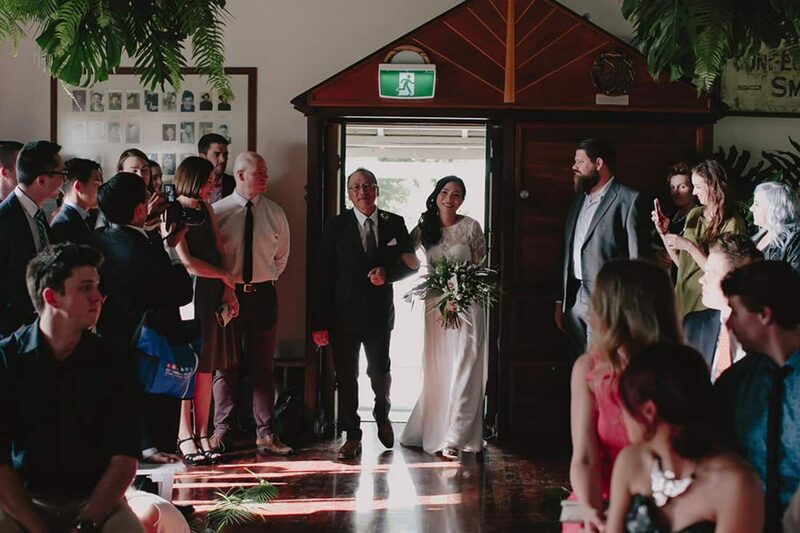 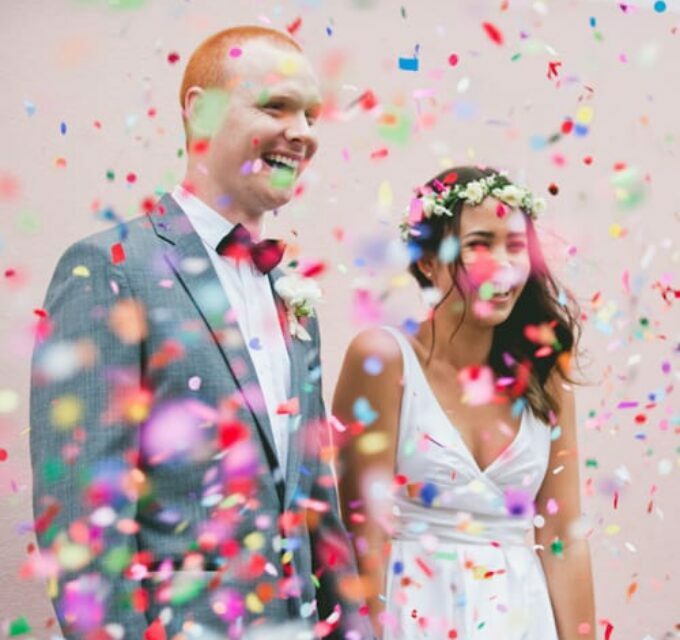 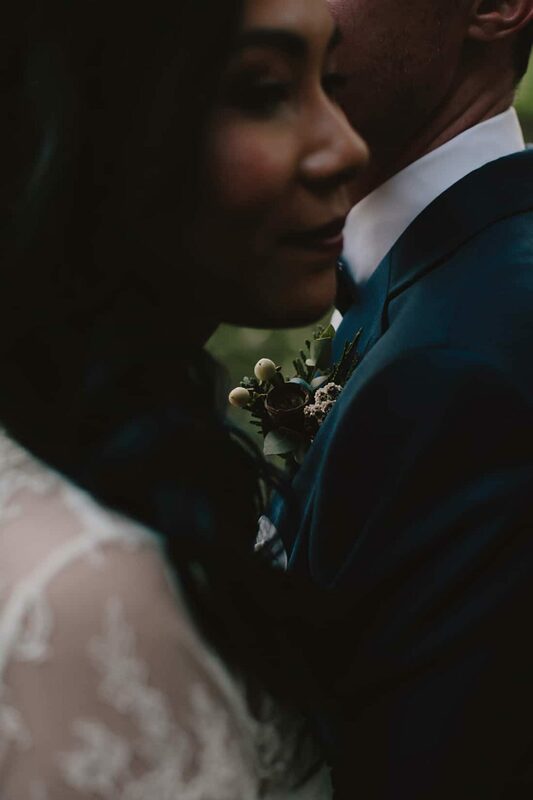 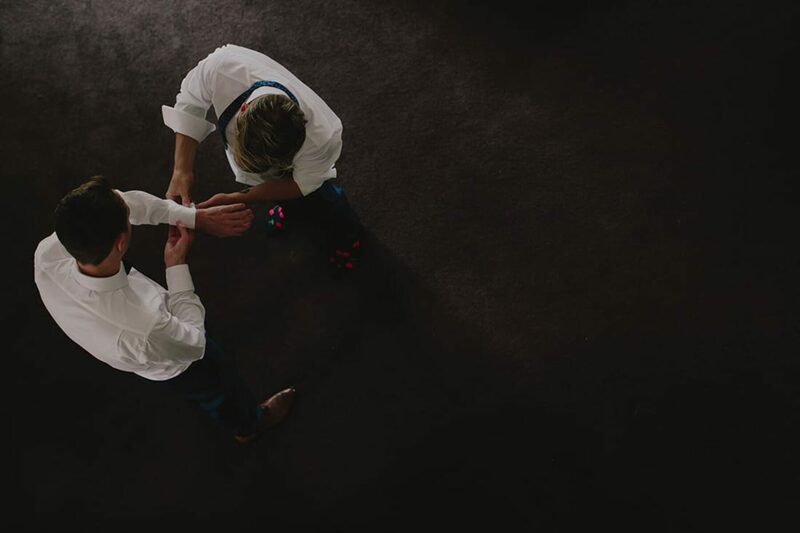 Luke Going captured the relaxed wedding day, snapping plenty of intimate moments between the bride and groom. 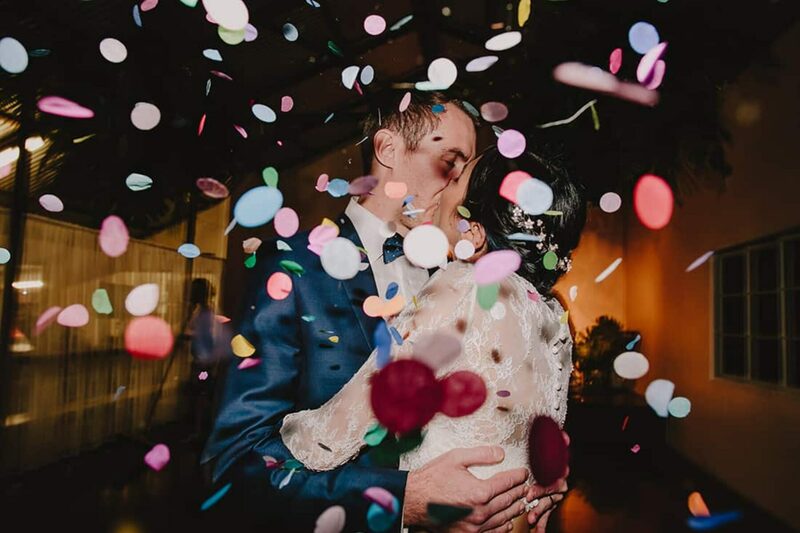 After celebrating a whopping 10-year anniversary before they got married, we think it was about time that these two shared a kiss at the altar! 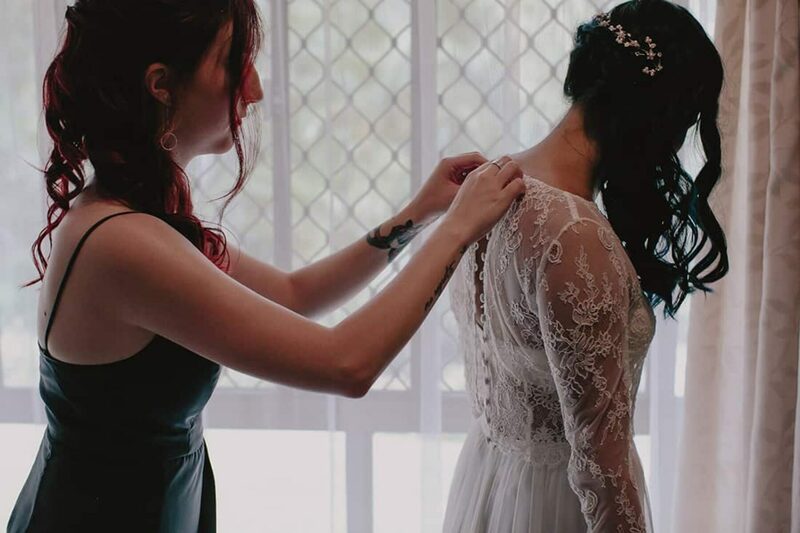 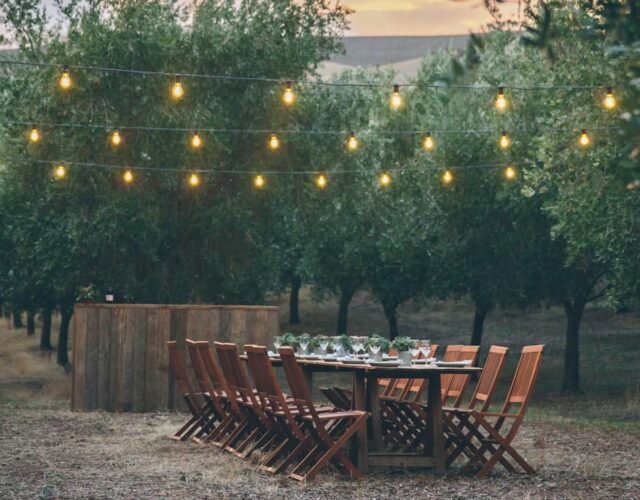 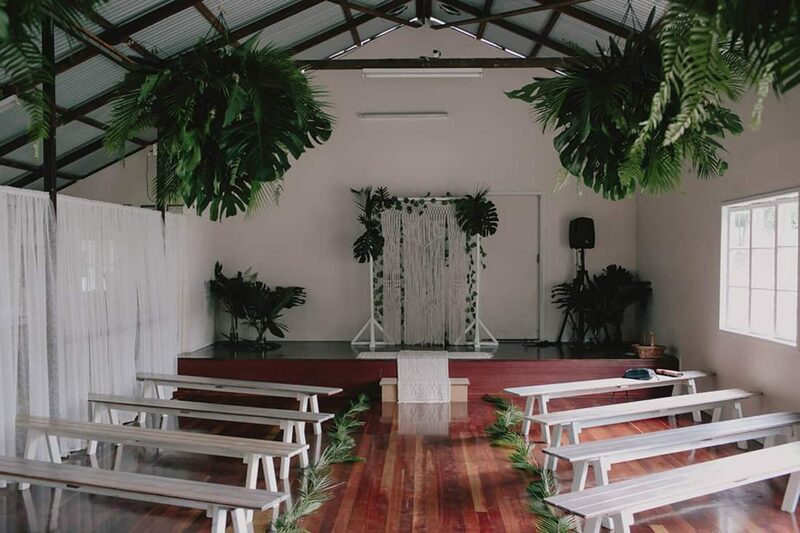 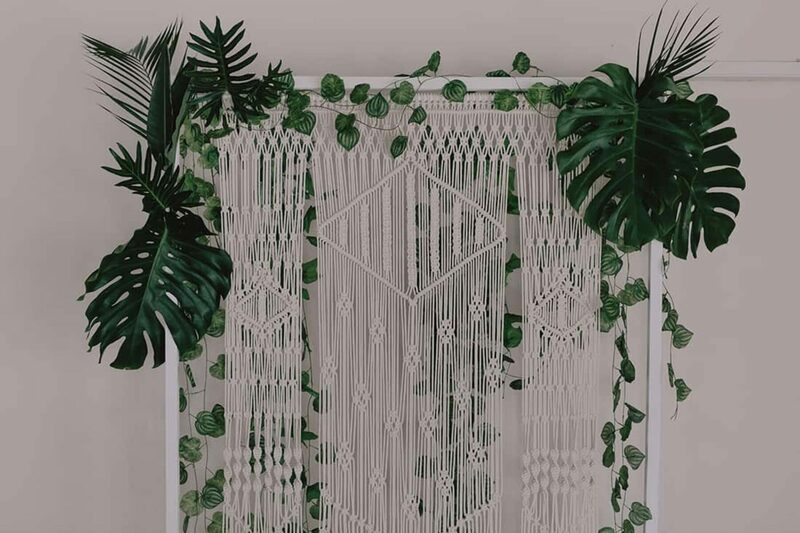 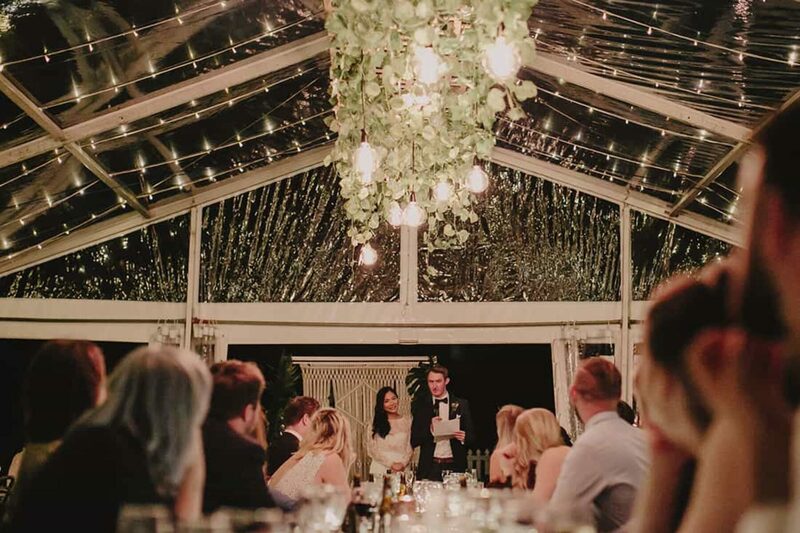 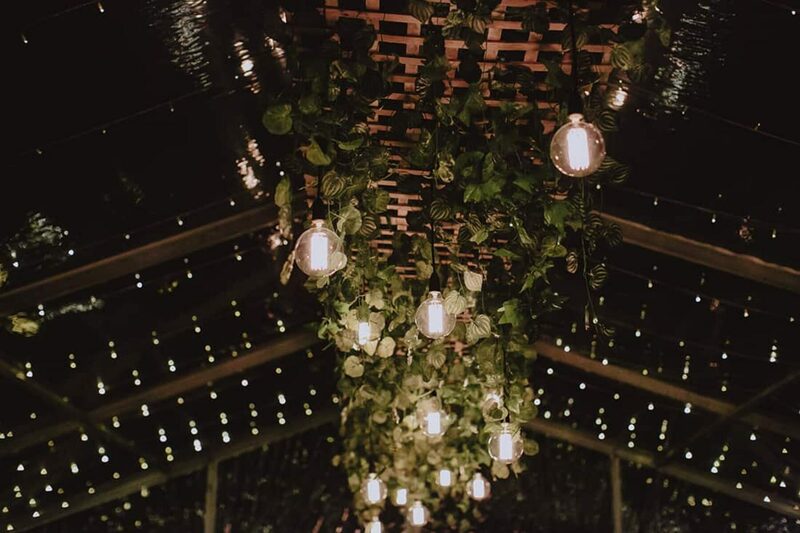 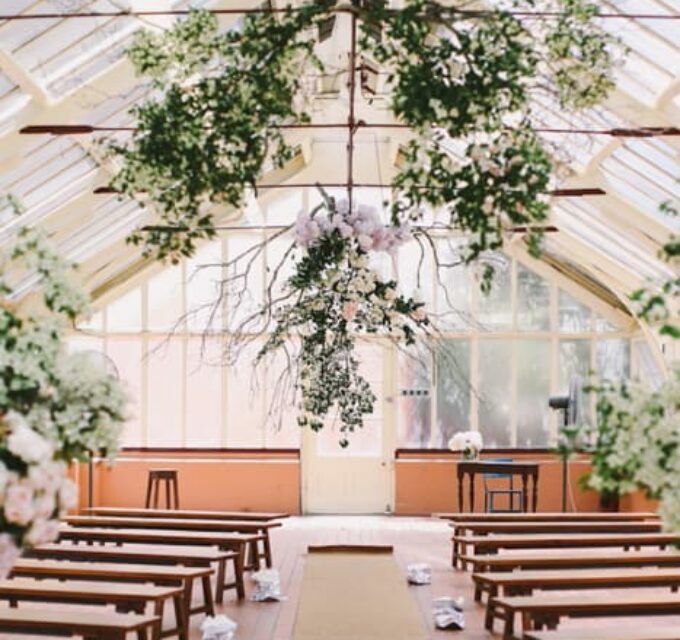 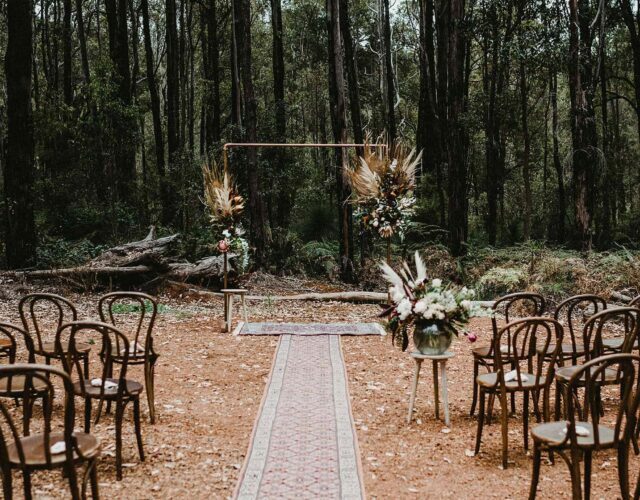 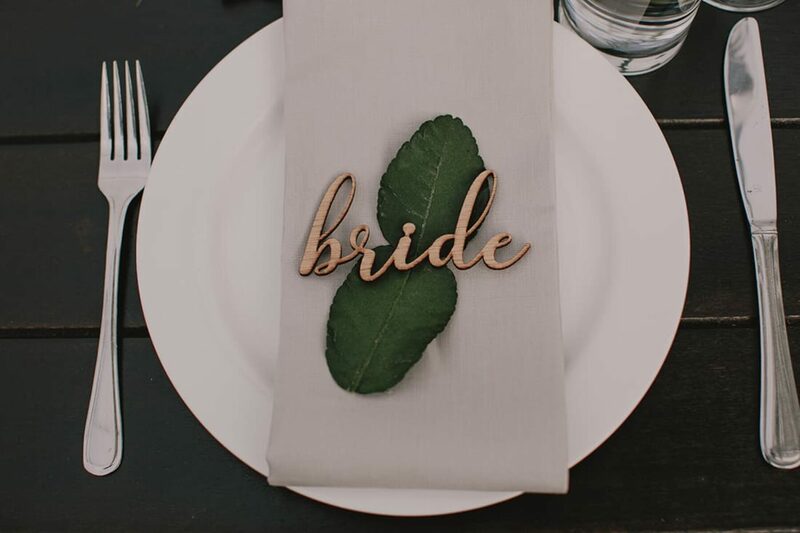 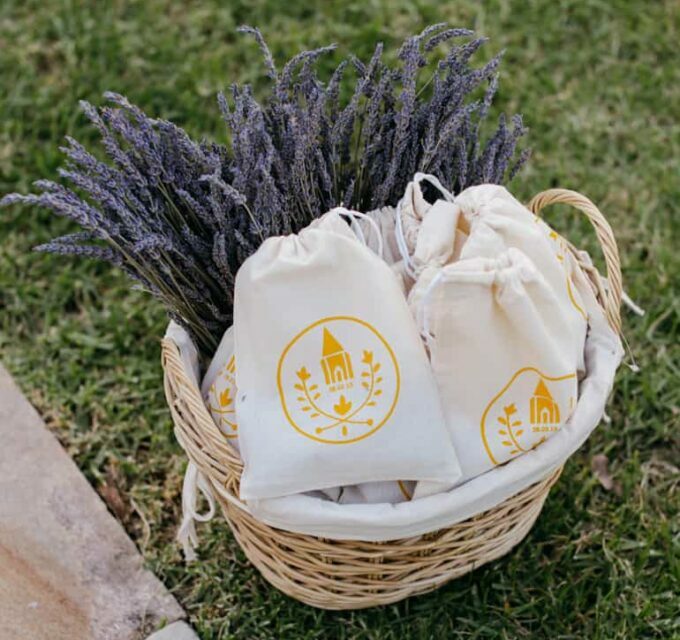 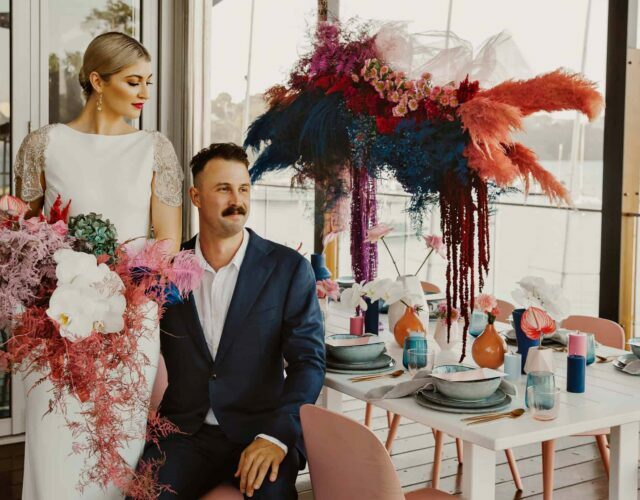 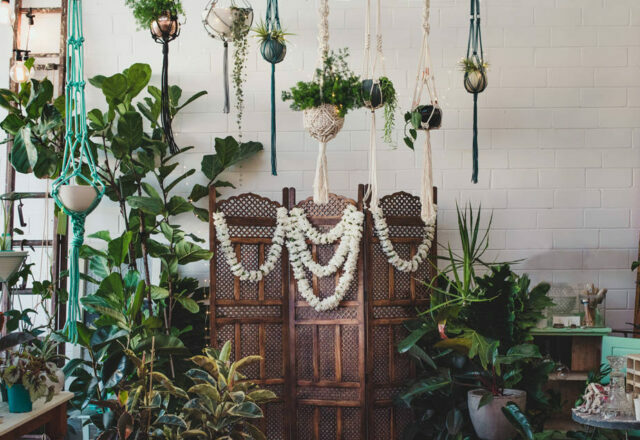 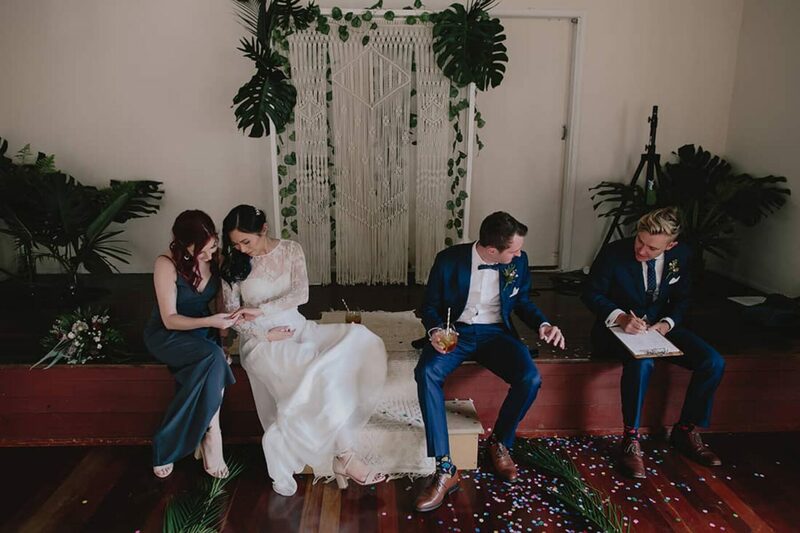 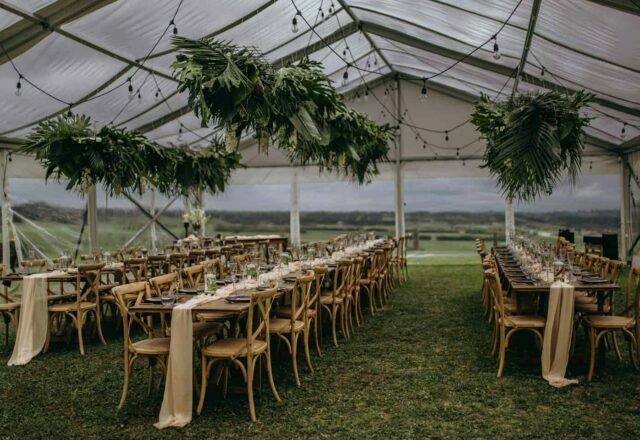 With Taryn being a graphic designer by trade, she very much took the reins on the styling and design of their wedding – hand creating a macramé wedding arbour, leafy chandeliers, a hanging installation and she also designed all the laser-cut elements. 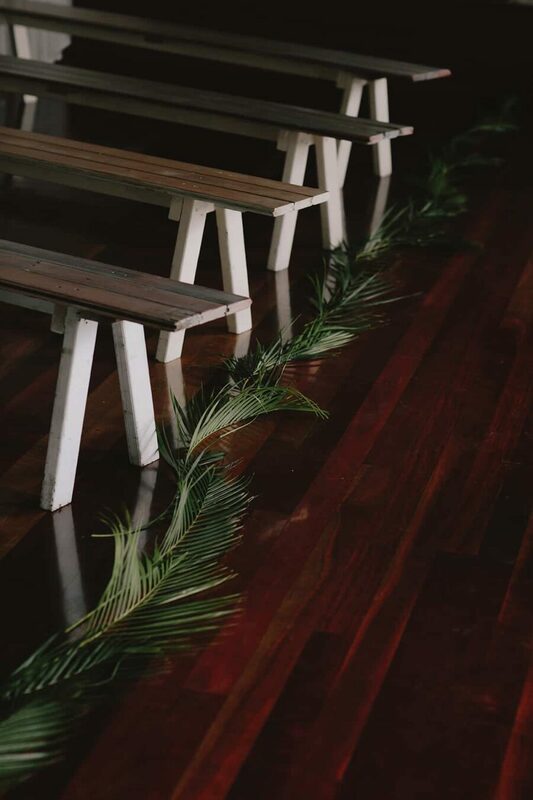 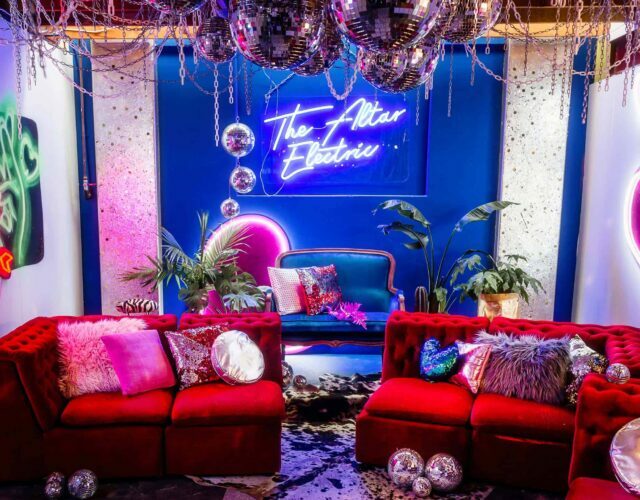 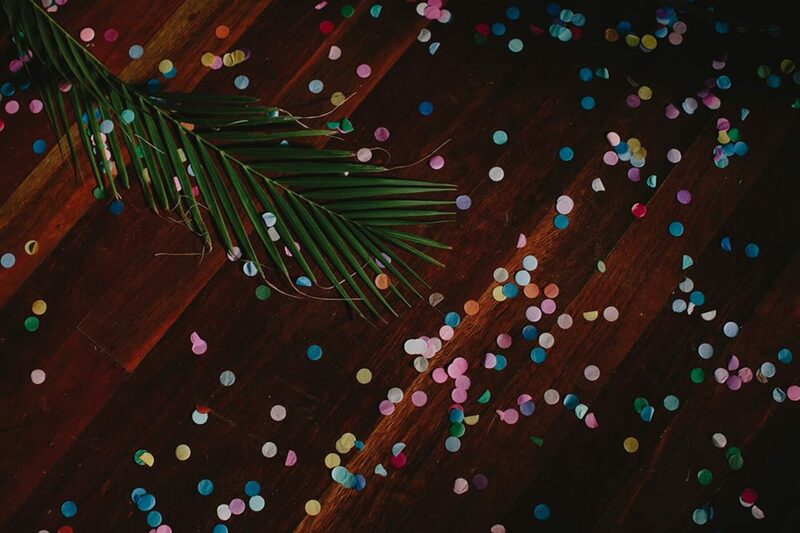 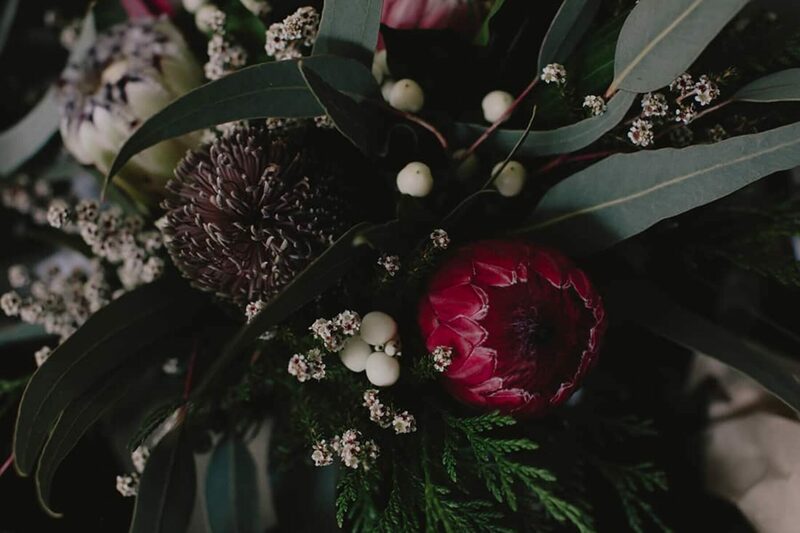 The theme for the day was botanical with a design focus; abundant greenery, twinkling fairy lights, native Bits & Buds florals and natural, exposed wood fit the brief. 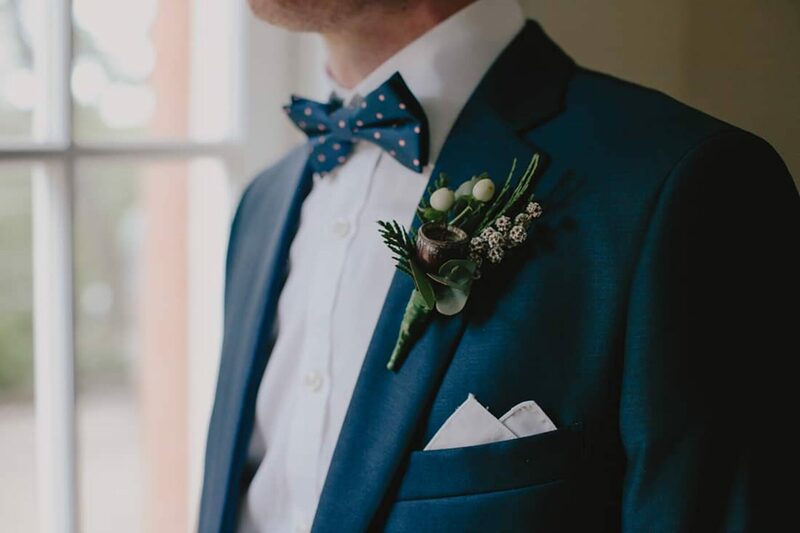 oe BlackJ dressed the boys, ensuring they were dapper as can be for Taryn and Kahl’s big day. 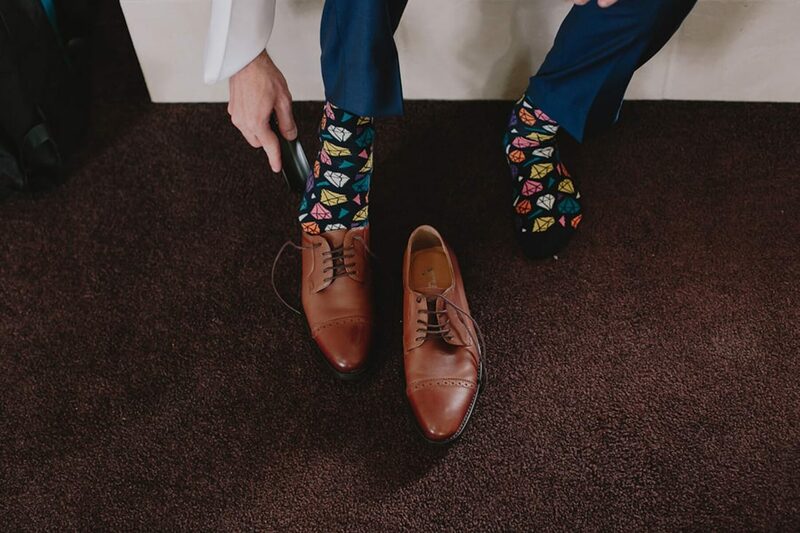 But of course, the outfit was not complete without the obligatory Happy Socks! 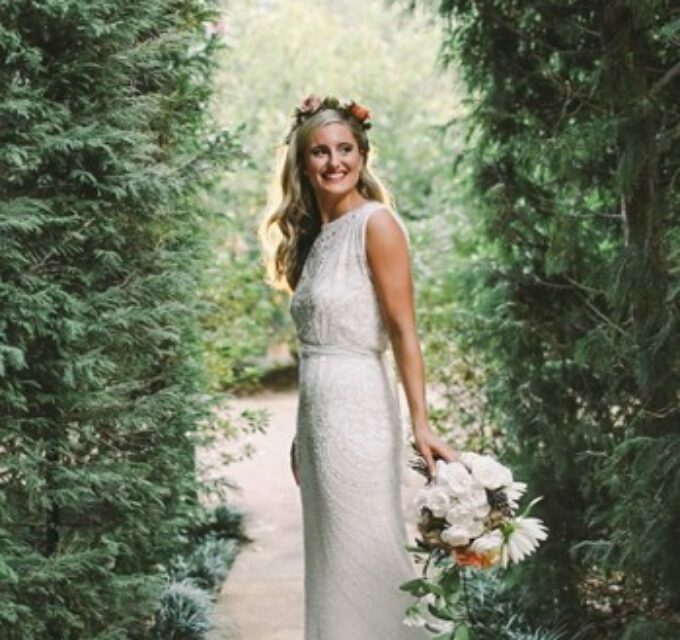 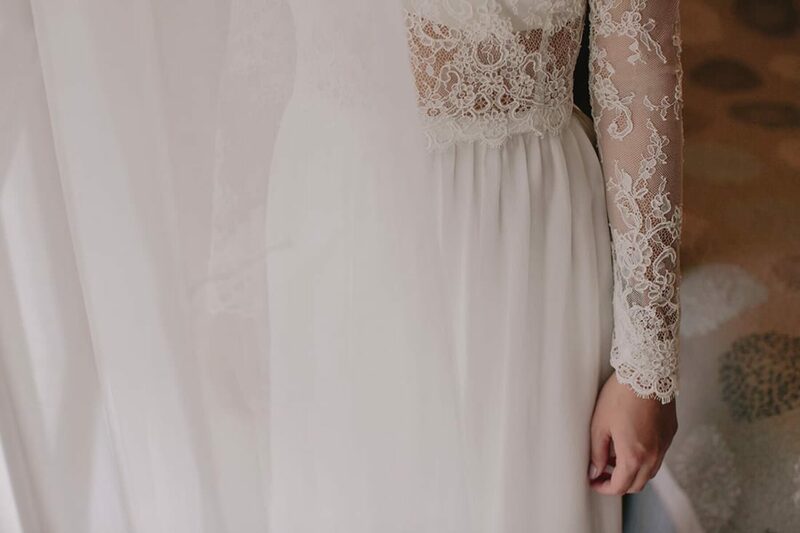 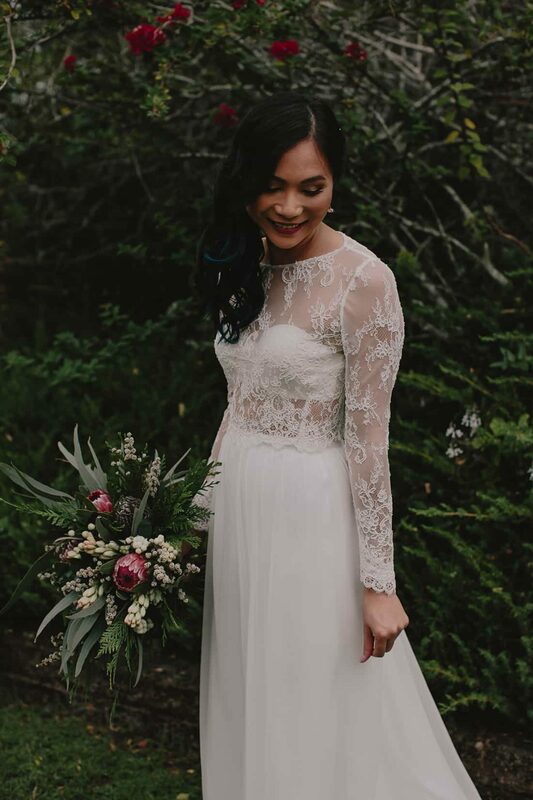 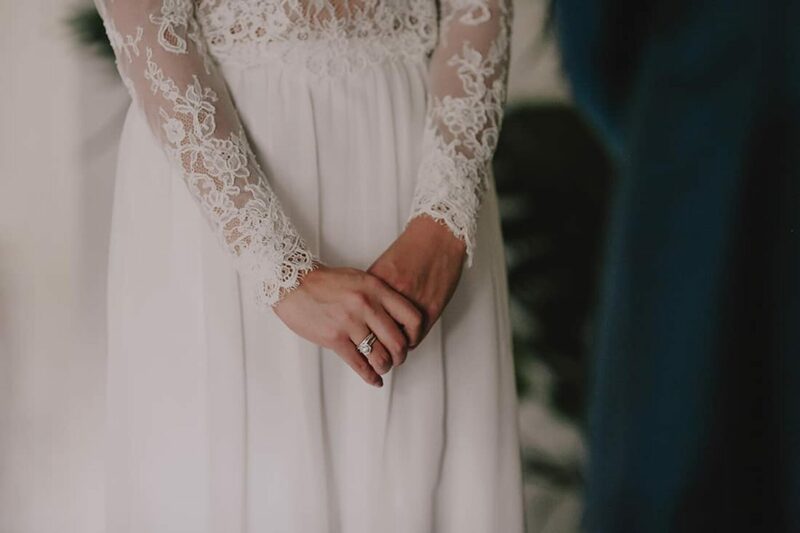 The two-piece bridal trend was the perfect look for Taryn, who wore a floral lace top and simple skirt by Karen Willis Holmes. 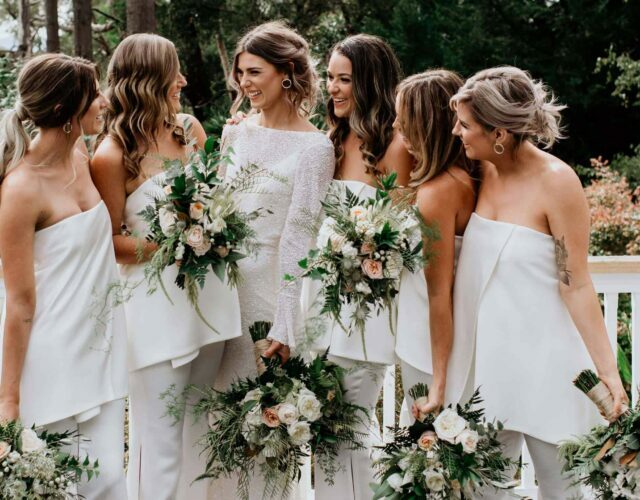 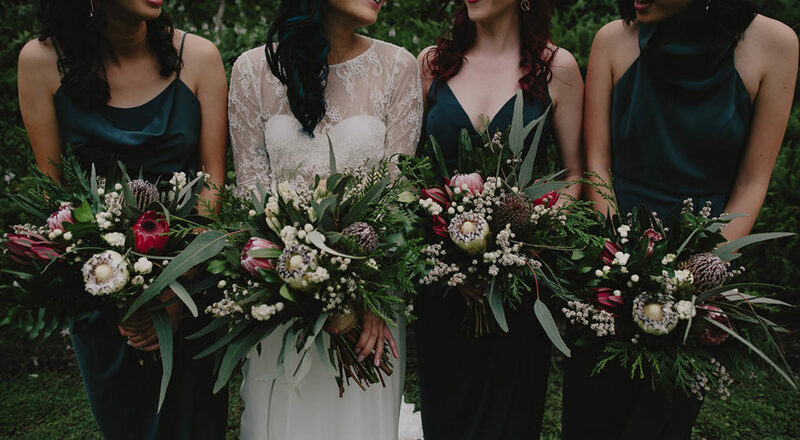 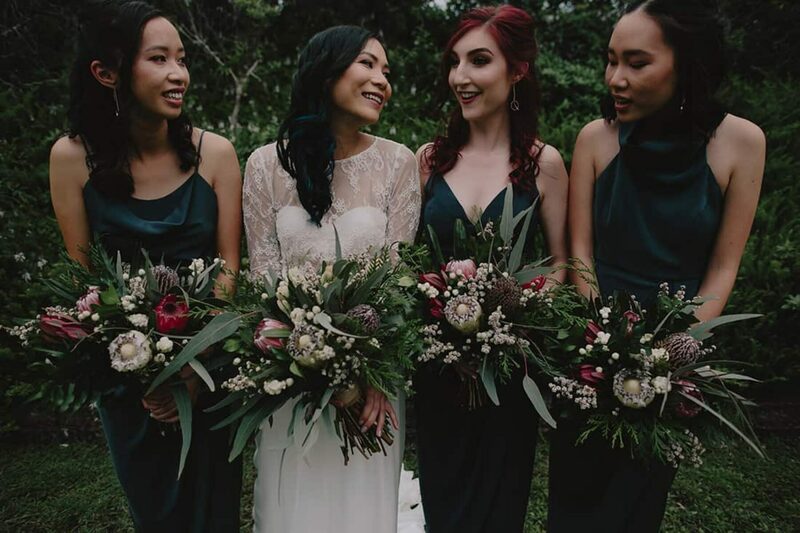 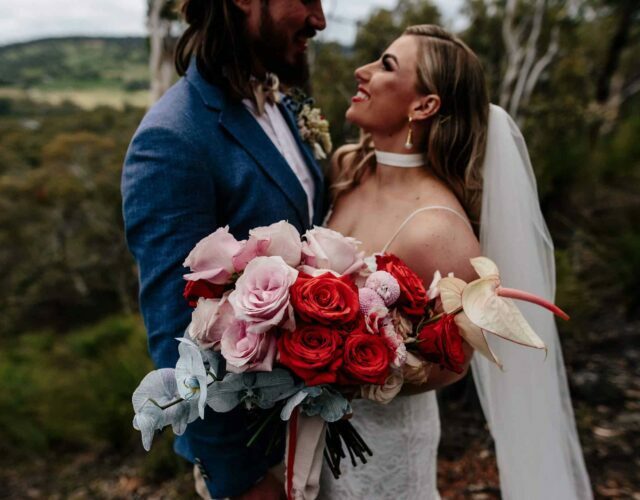 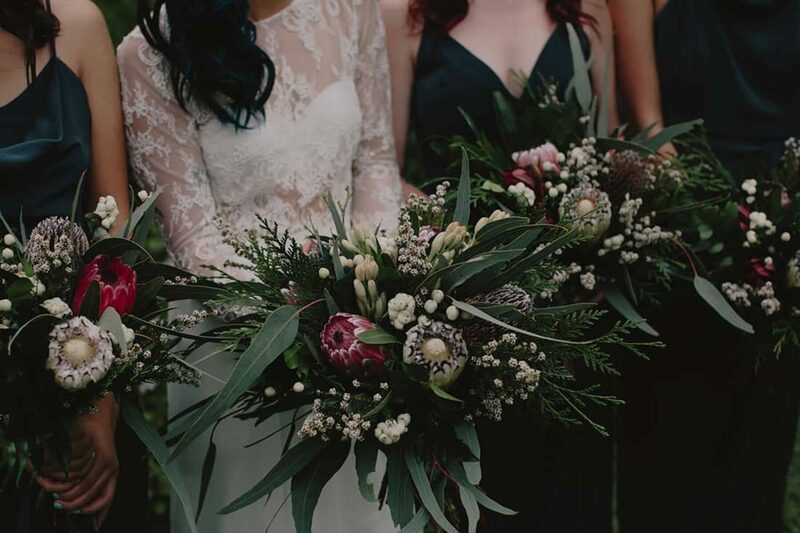 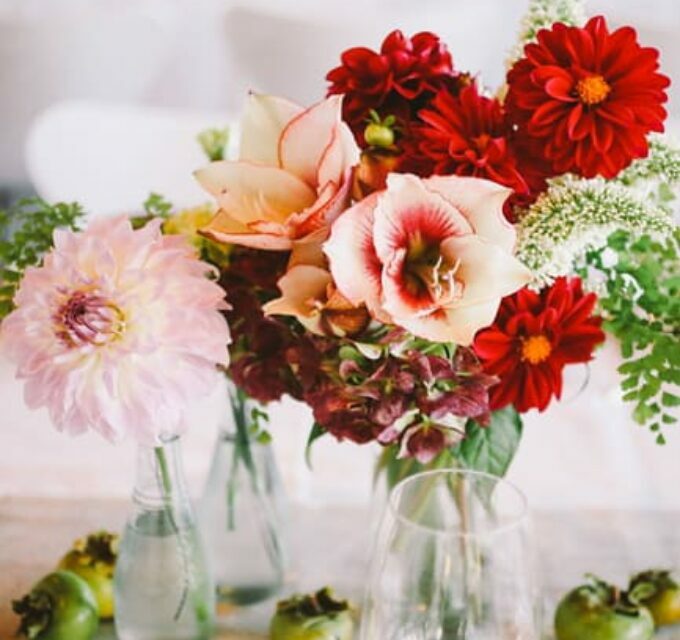 Whilst the bride sourced her own greenery for the décor, Bits & Buds created the ladies’ bouquets as well as the guys’ buttonholes, with a stunning blend of native blooms and foliage. 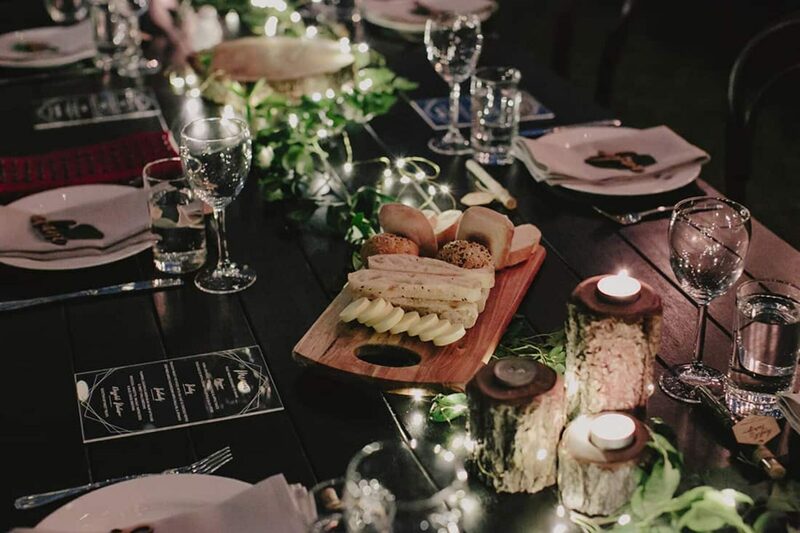 Wine & Dine’m nailed it on the feasting front, creating a delicious menu for Taryn & Kahl's guests. 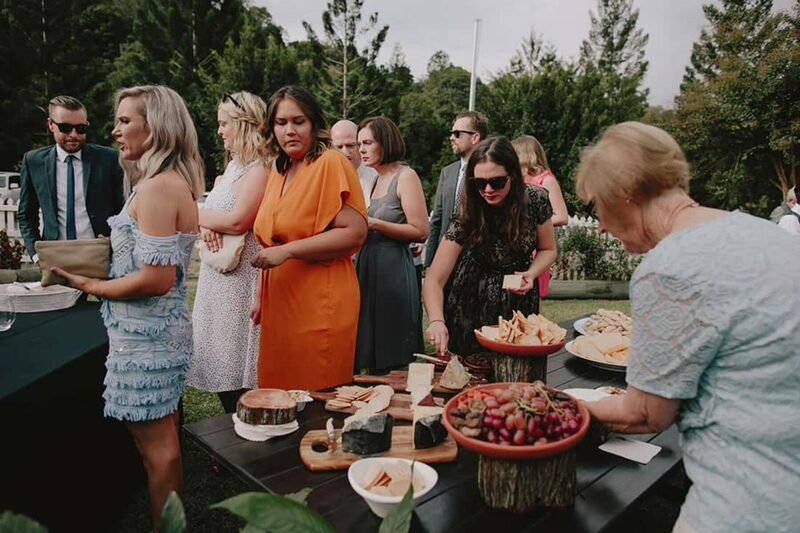 Apparently, guests are still commenting on how good the food was! 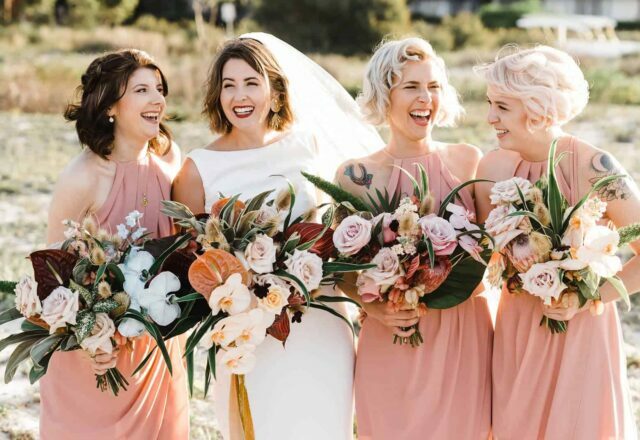 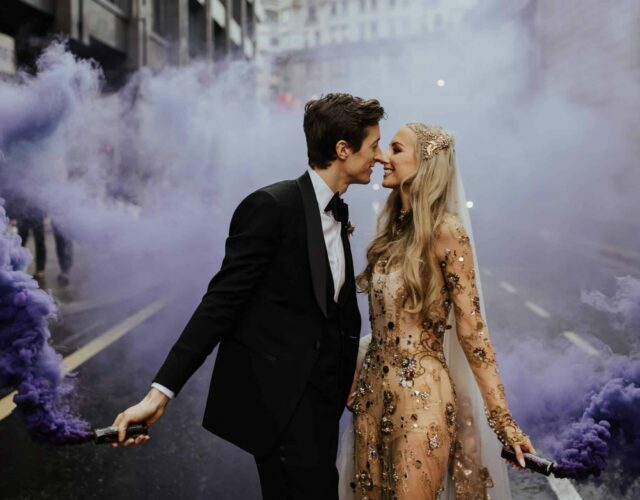 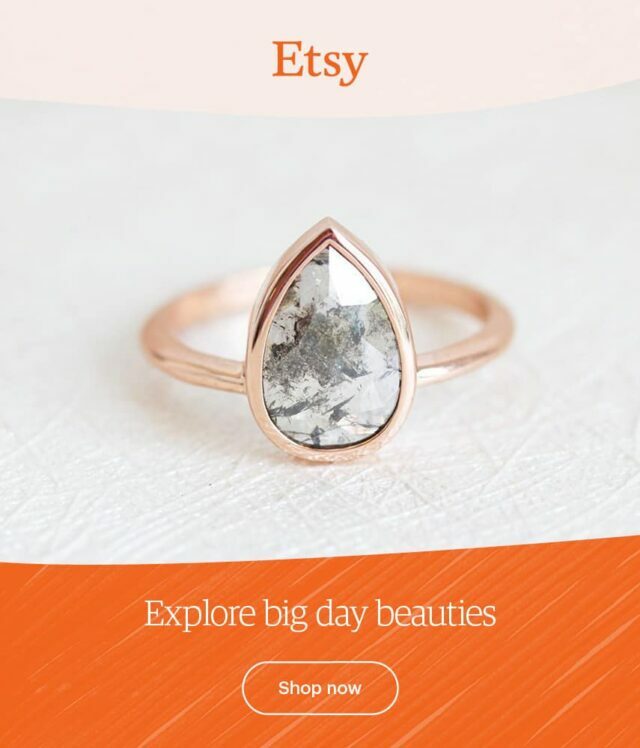 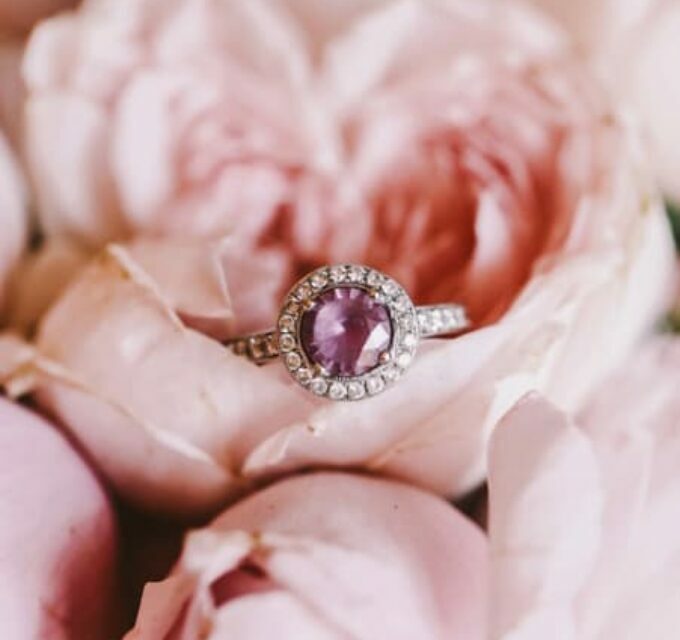 We can’t not mention the bride’s own designs! 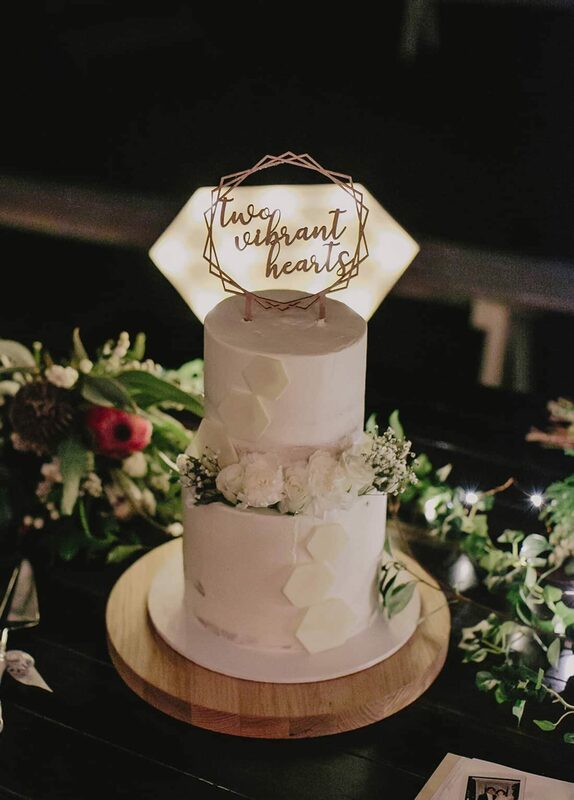 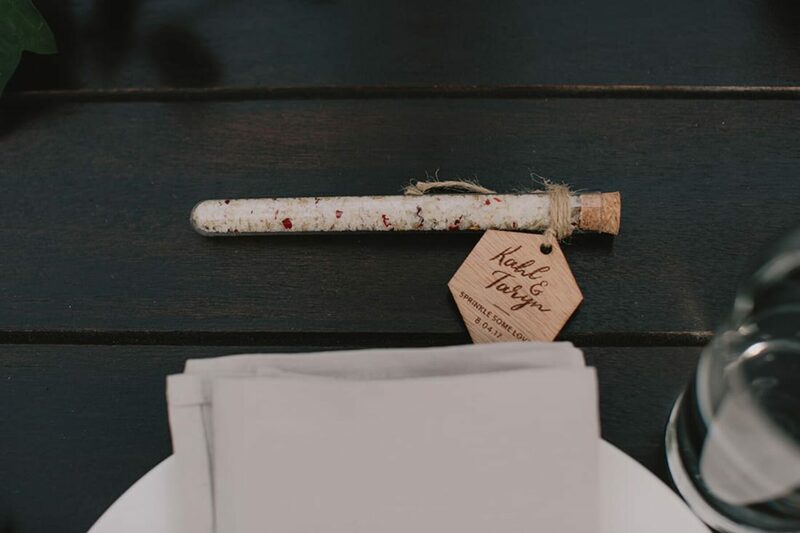 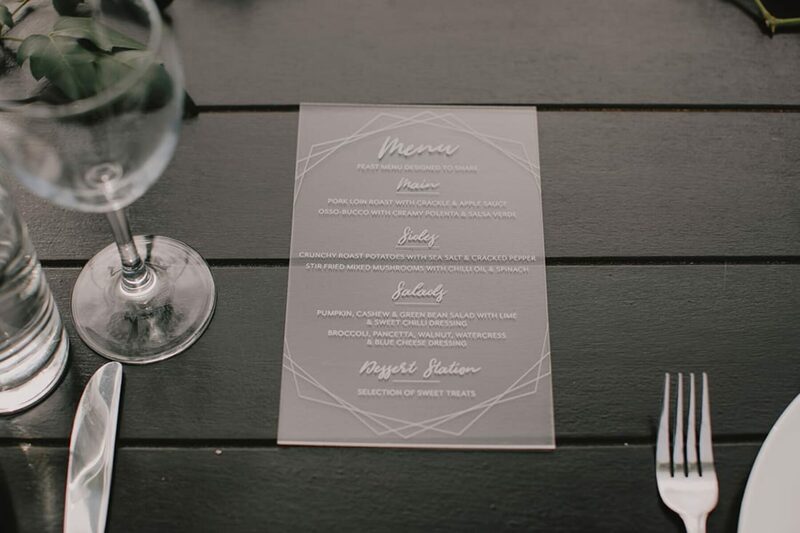 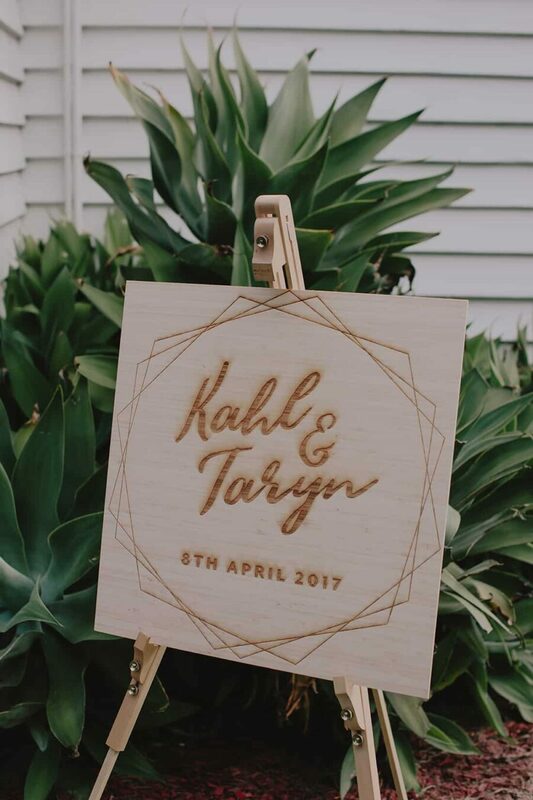 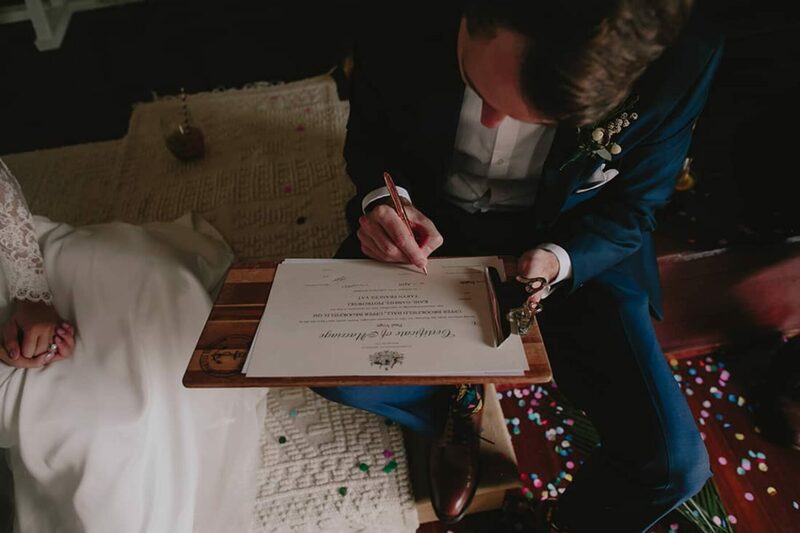 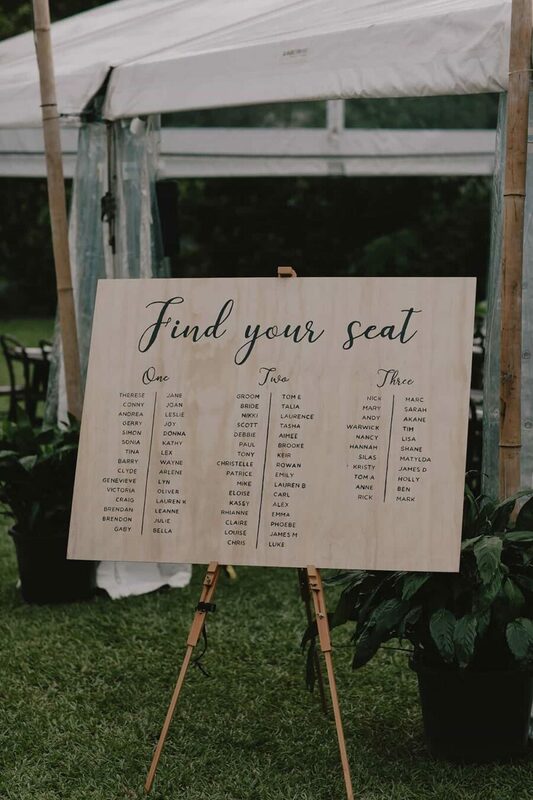 Taryn Yat created everything from the invitations, favours, perspex menus, laser-cut place cards, timber signage and even the cake topper.